Walking through the garden on a clear, crisp winter’s day is always a treat, and now that some of the fruit trees are starting to blossom, it’s even more delightful. 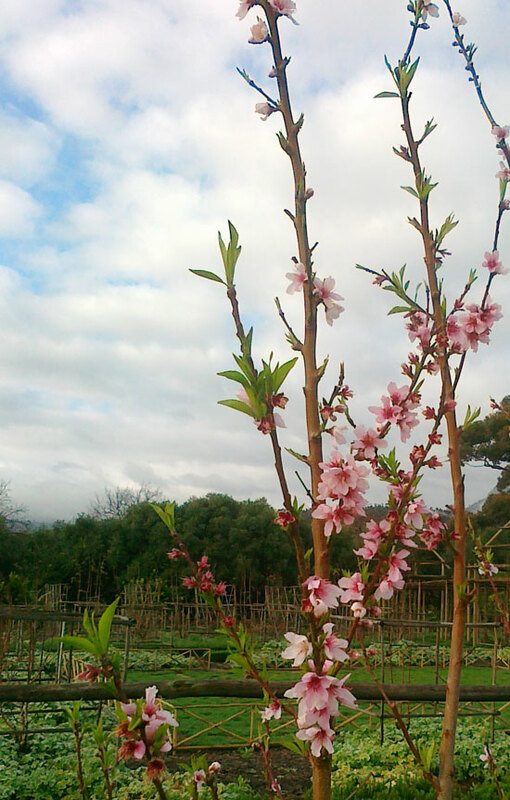 This is one of our peach trees, just starting to blossom. Visit our Day in the Garden album on Facebook to see more pics of peach, nectarine and plum trees in blossom.